Yellowish pigmentation of the skin and tissues, as the whites of the eyes, caused by excessive bile in the blood marked by lassitude and loss of appetite, a symptom of an underlying cause, disease or disorder, rather than a disease in itself. Babies, especially if premature, often show mild jaundice at birth; this normally clears up in a day or two. Organ or part of body involved: Liver, gall bladder, bile ducts, blood circulation. 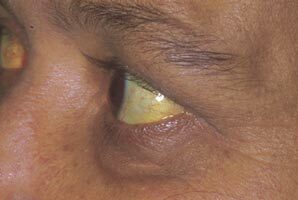 Symptoms and indications: Yellowing, first of the whites of the eyes and then the skin. The colour varies from a pale yellow to a bronze colour like a suntan. 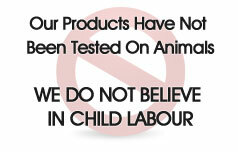 The urine may be dark and there may be furred and faeces may be pale and foul-smelling. The person may experience abdominal pain, nausea and the skin may itch. There may be lethargy, a slow pulse rate and confusion. Newborn jaundice is common and unless associated with an abnormal condition will clear without treatment. Causes and risk factors: It may be due to liver diseases such as hepatitis or obstruction of the bile ducts by gallstones. Also cirrhosis of the liver, cancer of the pancreas or enlargement of glands close to the liver are causes of jaundice. Some infectious diseases, including malaria, typhoid fever and leptospirosis, cause jaundice. Many drugs and toxins that have adverse effects on the liver may also cause jaundice, including snake venom and mercury. The risk of liver damage and jaundice increases with excess alcohol consumption. Prevention: Try to find a way to relieve stress, do moderate exercise - such as walking everyday, eat a balanced diet plus eliminate the problem foods, keep a food diary in order to establish which foods trigger problems, eat more often throughout the day, but smaller amounts, rather than three large meals.